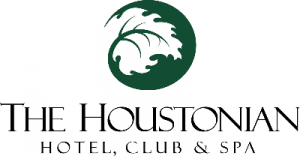 HOUSTON, TEXAS, UNITED STATES , March 16, 2019 /EINPresswire.com/ -- On Saturdays and Sundays in April and May, The Houstonian Hotel, Club & Spa1 is hosting complimentary nature hikes for hotel guests and Houstonian Club Members on its 27-acre, wooded property. The hotel wants visitors to spend time outdoors and find that learning is “fun under the sun.” Children over 5 years of age, accompanied by an adult, can explore, learn, listen and feel the many species found on along the property’s one-mile outdoor jogging path which winds alongside Houston’s Buffalo Bayou. “We have raccoons, squirrels, armadillos, and all kinds of birds that are easy to identify, and our guide teaches trivia about what they eat, where they sleep and interact with each other,” said Director of Marketing Seliece Womble. “It’s just a great way to spend a morning together as a family,” she said. Guests may add breakfast at TRIBUTE at The Houstonian2 to their morning, which includes a kids’ nature craft for $16+ per adult and $10+ for children. The nature hikes are 9:00-10:00 a.m. and reservations are required. For more information about Nature Hikes at The Houstonian Hotel, Club & Spa please contact Erica Zack at ezack@houstonian.com or 713-685-6889.